Lite-product? Shortly after the flagship device from Huawei, the P8, we now get the smaller sibling with the addition "lite," which sounds like a slimmed-down version. Not only is the price reduced but also the battery runtime. The device could, however, even be the better choice for some customers thanks to the decent features and the good quality. While the freedom that comes with an unlocked phone can be attractive, there are usually some trade-offs that must be made. Often, those trade-offs mean paying more for the device, because it is unsubsidized, and settling for older or inferior hardware. In the case of the Huawei P8 lite, you’ll get a stylish phone for a reasonable price of $249, but the hardware lags behind today’s hottest phones. We will soon update the review with our in-depth tests of the screen and camera, but even at this moment we can say, that Huawei P8lite is a good offering for a mid-class device. Although, appearance is a subjective matter and some users may find the device unappealing, we think that it will come to the liking to the majority, thanks to its elegant design and 7.7 mm thick body. The Kirin 620 SoC provides high enough performance for the phone to be able to compete head to head with its Snapdragon and MediaTek competitors and even surpass them in some of our tests. The measured temperatures are a slight downfall, but we must keep in mind that they are only present after heavy usage and only on one side of the phone. Even though we expected the UI to have many features and apps, we were still pleasantly surprised from all the features like different gesture controls, energy saving modes etc, found in the settings menu. We still don’t have the results from the camera tests yet, but we can state that it takes quality shots based uppon the sample photos we took with the device. Looking at the Huawei P8 Lite as a complete package, we should note that it lives up to its “lite” moniker, perhaps a bit too much. 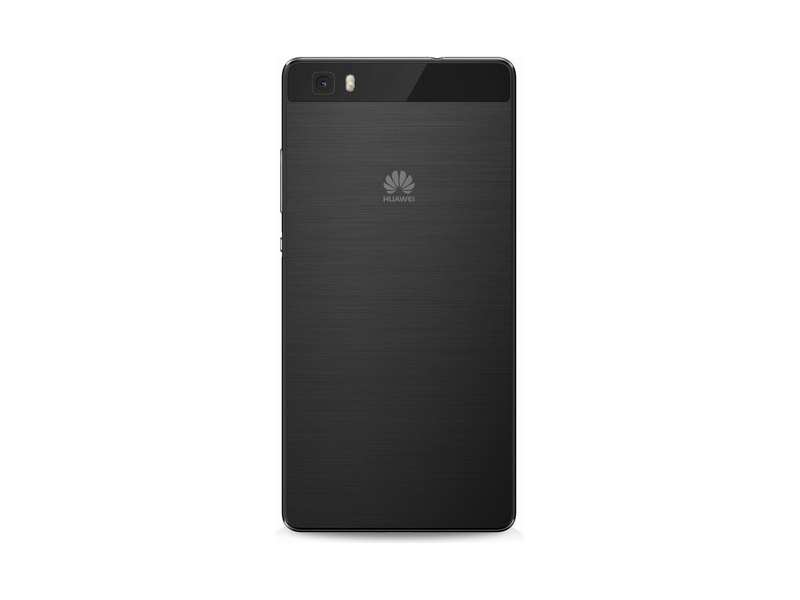 As an off-contract purchase, the P8 Lite doesn’t offer the best value for money out there. If you are after value, your best bet is a phablet like the recently reviewed Lenovo K3 Note. However, the P8 Lite is thinner and more compact than your average budget phablet, so it’s aiming for a different audience. 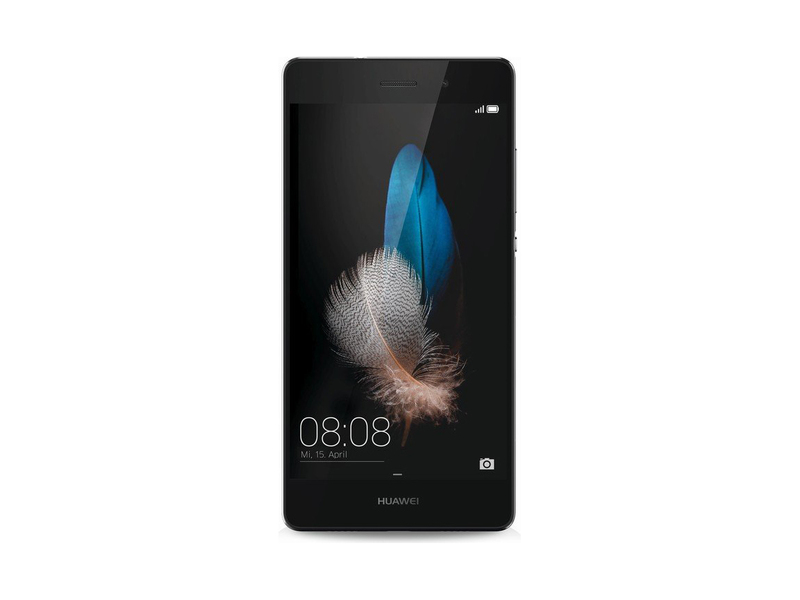 Every way you look at it, the Huawei P8lite is without a doubt a gorgeous device. It has managed to capture the style of its premium sibling and has brought it over to the mid-range market where refined design is significantly harder to come by. 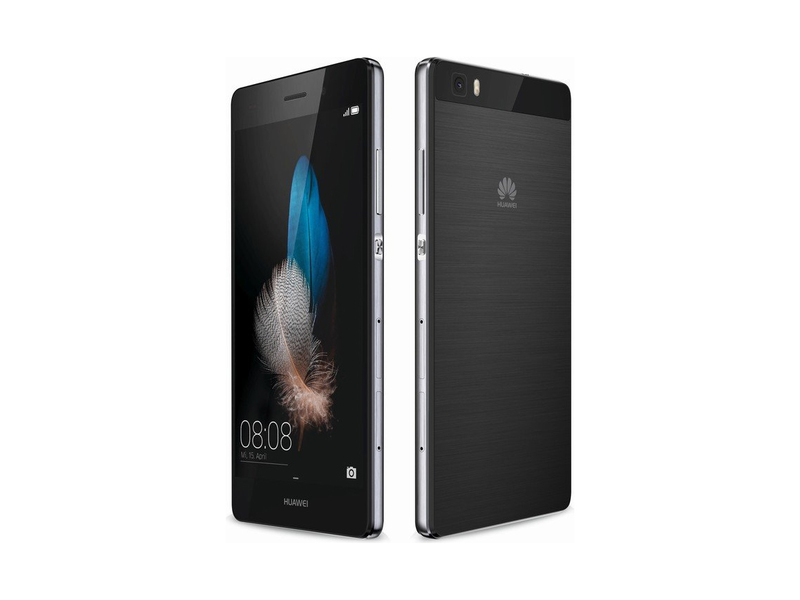 The Huawei P8 definitely has its shortcomings, but undoubtedly, its biggest fault is the premium price tag that pits it up against a tough flagship crowd. Mid range devices in the $200-300 range are more interesting than devices at the low end of the smartphone market because there's more room for OEMs to prioritize some features over others in order to differentiate their device. With low end devices it's often the same story of a Snapdragon 400/410 SoC with 1GB of RAM, 8GB of NAND, a 5MP or possibly an 8MP camera, and a qHD display. Though the 2nd-gen Moto G doesn't have LTE radios for US customers (that variant isn't yet sold directly in the states), Motorola's $180 budget phone is otherwise a better value. For the same $250, you can get a much better phone in the OnePlus One. And if you don't mind hitting sources like eBay or craigslist for a used phone, you can find older flagships, in good condition, for around the same price or a bit more. Find an oldie like the Galaxy S5, HTC One M7/M8 or LG G3 in that range and you get another much better phone than the P8 lite. In a board room somewhere within Huawei, there were people that thought the company should continue serving its customers outside of the China and Europe geographies and in the unlocked mid-ranger market. Perhaps that is where the most growth is right now. Some people think that the Chinese OEM isn’t taking the US seriously and that brand recognition is still out of mind for the effort. Maybe so. With the Alcatel OneTouch Idol 3 featuring a 5.5-inch 1080p display at the same price, there's really no reason to buy the Huawei P8 Lite. Even with the performance issues of the Idol 3, the better display, dual front stereo speakers, 8MP front-facing camera and better battery life make up for it. Also, there's the OnePlus One, which recently saw a permanent price drop to $249. Typically, the "lite" version of anything — be it beer, soda or FM radio — indicates that the product has fewer calories or lower fat, but all too often, is code for a watered-down version of the real thing. Such is the case with the Huawei P8 Lite. This smaller, less expensive version of the P8 has a capable camera and dual SIM card slots, but a lower-resolution display and way-below-average battery life make this device much less of a bargain than similarly priced, unlocked smartphones. 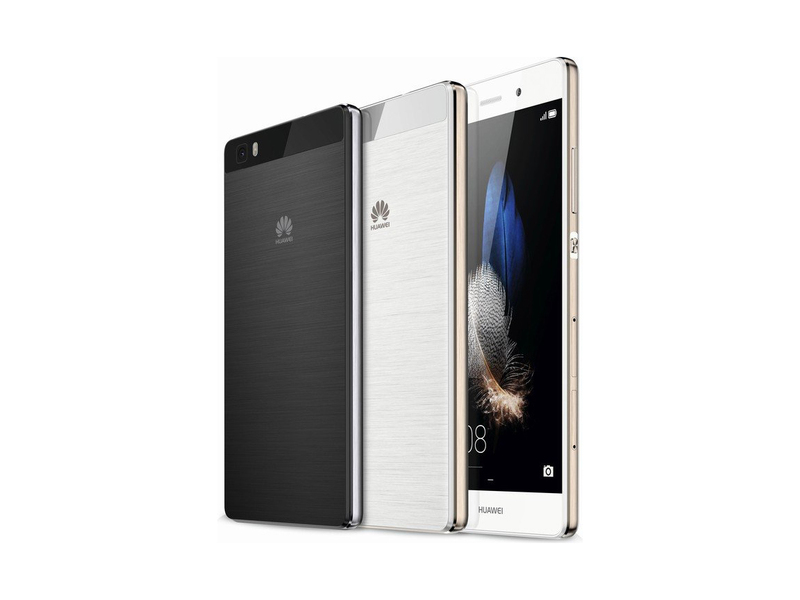 So there you have it for this closer look at the Huawei P8 Lite! The P8 Lite is certainly a solid entry to the budget-friendly smartphone segment, and gets some things right, especially in terms of battery life. That said, things are already extremely competitive in this space, with some fantastic offerings from other OEMs like Asus, Alcatel, and Motorola fighting for dominance. 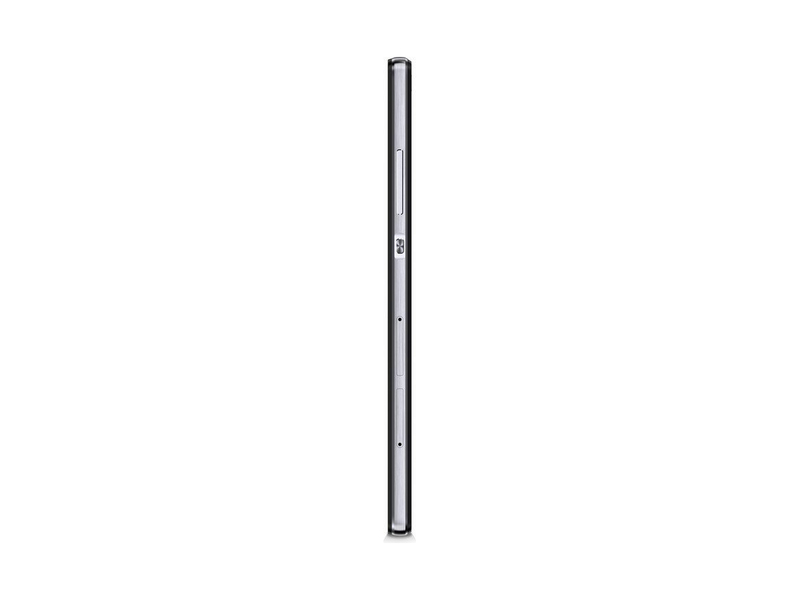 The P8 Lite falls short in some key areas when compared to its competition. We expect that the sweet price point will attract people who are interested in getting a stylish and good quality smartphone that is unlocked, allowing them to choose the best carrier for their needs. Huawei is also pushing the envelop on the customer care side by offering a 2 year-warranty alongside a highly localized customer service for repair and support. After checking out what those two phones offered, it’s tough for the P8 Lite to garner the same level of attention from consumers – not only from a specs point of view, but also from a performance standpoint. Most folks will be content with the value it offers for the price, but it simply can’t match the Alcatel Onetouch Idol 3 in terms of overall value. This one has a 720p screen, that one has a 1080p one. This one has Android 4.4 KitKat, while that one has Android 5.0 Lollipop. See what we’re getting at here? Huawei showcases a good sense of balance with the watered down P8 Lite—compromise is a given at this price point, but enough of the premium P8 has been carried over without sacrificing the core experience. The P8 Lite is a strong unlocked option, but the unlocked competition has really stepped its game up this year. With a superior 1080p LCD, better camera performance, and lighter Android skin, the Alcatel One Touch Idol 3 overshadows the otherwise great P8 Lite. It's slightly more expensive at $280, but that $30 premium is well worth it for the aforementioned advantages. The P8 lite is not the most inexpensive phone on the market today. For example, Motorola's Moto G also offers a 5-in. LCD display but with a slower processor, less memory and without LTE capabilities for $180. So it all depends on what you're looking for. In this case, Huawei's foray into the U.S. market is concentrating on a relatively inexpensive unlocked phone that, while not top of the line, offers good features and styling (and what sounds like an fine support plan). 70% Top-Smartphone zum kleinen Preis? Positive: Compact size; lightweight; decent cameras; support NFC. Negative: Small screen; low autonomy; mediocre hardware. 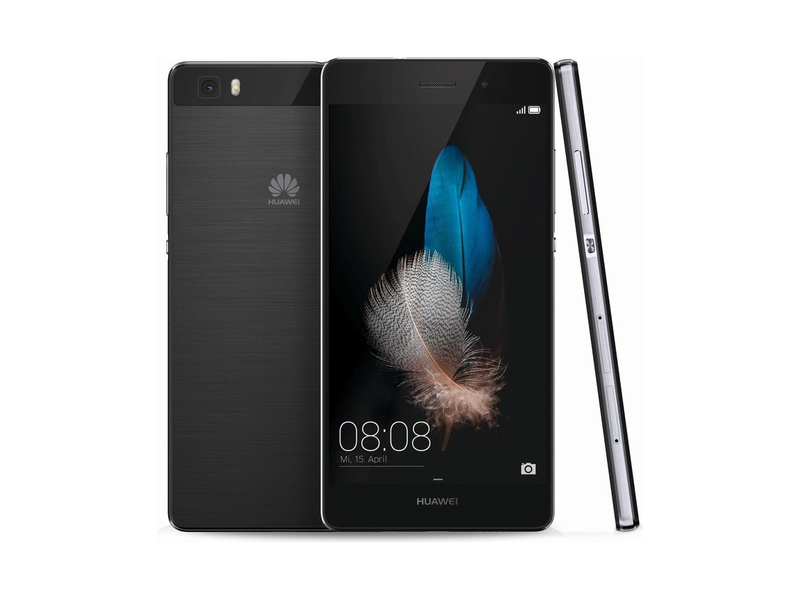 Model: The Huawei P8 Lite is a smartphone with a sleek all-metal body that is relatively light, weighing in at 131 g. It comes in black and white with either silver or gold accents and metal trimming on the side edges and has easy to access control buttons. On the top edge is a standard 3.5 mm headphone jack and the bottom edge houses dual audio speakers. The buttons for volume and power are located on the right edge and there are two tray slots, one for a microSD card (up to 32 GB) and one for a SIM card, which has dual-SIM function. The back side of the smartphone is made from matte plastic, which has a slick and glossy finish. The 5 inch IPS display with a resolution of 1280 x 720 is protected by Corning Gorilla Glass. The P8 Lite runs on the Android OS with EMUI 3.0 user interface. The internal storage is 16 GB and the storage capacity can be expanded by up to 32 GB via microSD. The system features a 64-bit Qualcomm Snapdragon 615 octa core processor clocked at 1.5 GHz and is powered by a non-removable lithium ion battery with 2200 mAh. Finally, the smartphone features a 13 MP rear camera and a 5 MP front camera with enhanced low-light and after effect features. Kirin 620: ARM based octa core SoC with eight ARM Cortex-A53 cores clocked at up to 1.2 GHz. Manufactured in 28 nm and integrates a dual SIM LTE Cat.4 modem, 802.11n WiFi and Bluetooth 4.0» Further information can be found in our Comparison of Mobile Processsors.